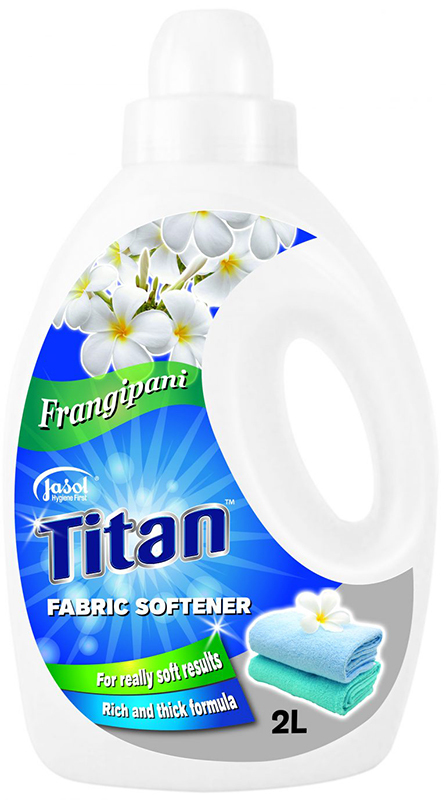 Give your laundry a long-lasting freshness and softness with Titan Fabric Softener. It has a beautiful aroma of Frangipani, plus it is gentle on clothes. Great for your clothes, towels and sheets. 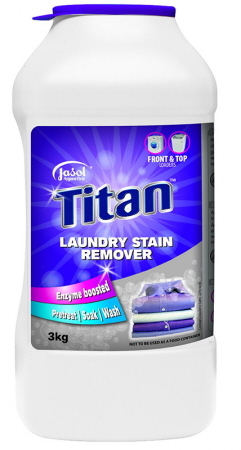 Get rid of the toughest laundry stains and odors with Jasol Titan Laundry Stain Remover. It is designed for brighter whites, common household stains and brilliant colours.